We know that you probably get a ton of emails from other companies that you follow … However we’ve got a few really good reasons that you should subscribe to our email list. Receive a personal welcome email – If time permits either Jeff or Jessica will send you a personalized email welcoming you to Pacific. They will check in with you to learn more about your business. They will also see if you have any big projects coming up that we can assist with. Be the first to be informed – We send out specials once a month offering discounts on trending products. If you subscribe to our email list you will be one of the first people to know about our special deals! Receive our bi-monthly newsletter – We like to keep everyone up to date on Pacific Company News! In our newsletter we updates on industry trends, product information and so much more! Stay up to date on our blog posts – You don’t have to worry about checking back on the blog on a regular basis. We will be including some of our more recent posts in each of our newsletters. Be inspired – We want you and your business or events to be successful and subscribing to our email list will continue to give you ideas for branding. We do the research on industry trends and then let you know what’s hot! Pacific Company doesn’t believe in spamming your inbox with daily or even weekly emails. We know that your time is very valuable and want to make sure that you are only receiving the most important information. 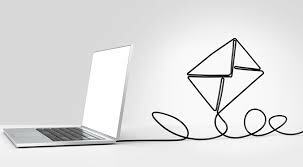 If you have any questions about our email list let us know – CONTACT US! CLICK HERE to subscribe to our email list and look for your personalized welcome email! We can’t wait to chat with you!